With the rise of smartphones, digital photography has never been more popular. However, some of the most precious photos families have aren’t ones that are digitalized, it’s older physical photos that are the most prized ones. Unfortunately, many of those photos remain packed away in photo albums or buried in basements away from the eyes of younger family members. 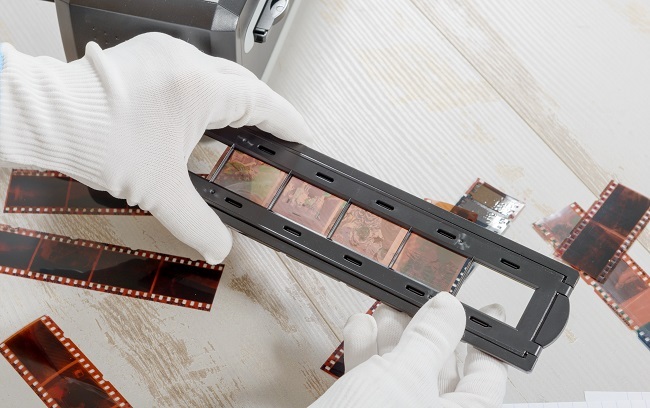 This doesn’t have to be the case any longer because regardless of how daunting it can be to have old photos digitalized if you get them scanned professionally, you don’t have to worry about doing it yourself and can rest easy knowing that they are being digitalized by seasoned professionals. Some of the photos we specialize in scanning are 16mm film, 35 mm film, super 8 and much more. Old photos need special care and most people that elect to scan them on their own often run the risk of ruining the actual photos. This is something you don’t have to worry about with professional photo scanning because we take special care of the media we receive. We understand how priceless these photos are for families, and we take great pride in ensuring the photos scanned by us are returned to owners in the very same condition we receive them in. Our 4K scanning also allows for photos to be scanned in the best quality available in the industry and far out performs the scanning anyone will be able to do on their home printers. Most importantly of all, when you have your photos professionally scanned, you don’t have to worry about the hours of time it would take to get the scanning done because that becomes our job. If you are interested in having your old family photos digitalized, please don’t hesitate to contact us today or get an online quote from our website.